Issue 164 also includes an article based on the accounting records regarding Jack Arabas, a former slave and Revolutionary War soldier who worked at the mint in 1787. This article tells the story of Jack's struggle for freedom after the war and how his fight resulted in freedom for hundreds of other slaves who served with bravery and honor in the Continental Army. 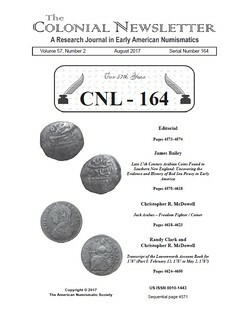 The feature article in CNL-164 is written by a metal-detectorist, James Bailey, who uncovered an Islamic coin in Rhode Island dating from 1693 and spent several years figuring out how it got there. What Mr. Bailey's quest reveals is the amazing story of how pirates brought a king's ransom in silver and jewels to the New World in the late 1690s. 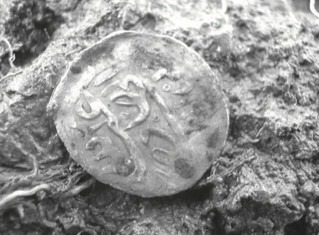 By piecing together finds of other Arabic coins located by detectorist throughout New England and examining shipping records, Royal Proclamations, wills, and other primary source materials, Mr. Bailey makes a convincing case that these coins circulated in the Colonies for a brief period of time and significantly impacted the economy. 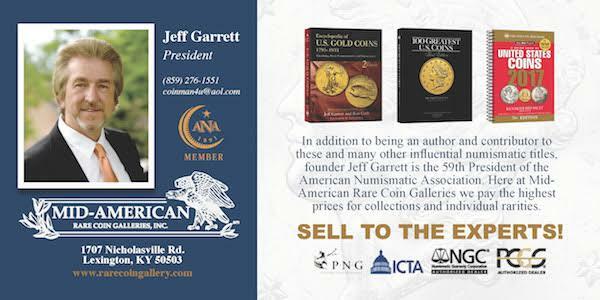 To subscribe to The CNL, please visit numismatics.org/store or call 212-571-4470 for more details.